This issue constitutes a conspectus/review of a paper by Pete Mason on the Socialist World website entitled: Quantum Mechanics and Dialectical Materialism (Marxism Materialism and Particle Physics), published on Boxing Day 2010. It is advised that the reader should take time to study the original paper before reading this issue for a more complete understanding of what is being discussed. Two approaches are taken to the task. The first paper entitled The Marxist Apologists for Copenhagen is a direct response to Mason’s paper from a contending Marxist position; namely that Marxism and the Copenhagen Interpretation of Quantum Theory are diametrically opposed, philosophically. 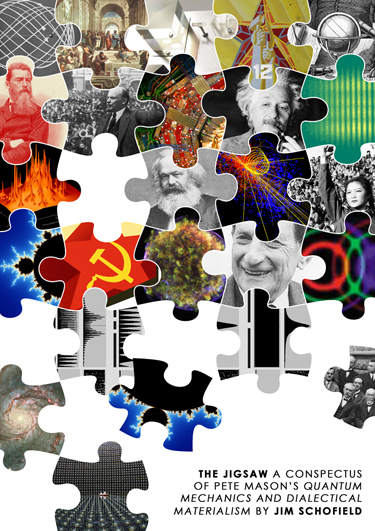 The second paper, Notes on “Marxism, Materialism and Particle Physics”, goes in to more detail and is a point-by-point critique of Mason’s paper, undertaken to reveal the inherent weaknesses in the original argument. These are vitally important to elucidate as Marxism should, in fact, be the study of Qualitative Change, something modern physicists have long abandoned. To adopt their pragmatic and statistical approaches to understanding and to embrace the “discoveries” of quantum physics as gospel, is to abandon Dialectical Materialism entirely for Idealism.